Is there anything more awesome than meat that comes on a stick? No, that is the answer simply no. Whoever invented it was probably a founding member of Mensa or more likely some nomadic tribesman thousands of years ago who saw that ungainly lions leg and pondered how not to get drippings all over his loin cloth whilst he ate. Whatever the origins it has taken over the world in the same way Denim has. Every culture I know of has something on a stick. The Japanese have their Yakitori (chicken on a stick), the Vietnamese offer a huge array of pork and beef sticks with aromatic flavours like lemongrass and mint and us Aussies love to put Kebabs on the BBQ. In South Africa I ate massive chunks of marinated beef suspended on a frame work to support the hanging stick. I dare you to find a culture that doesn't love shoving meat over sticks and into their faces. Locally here in Canberra we have the once a year event that has the official name of the Multicultural Festival (originally the food and wine frolic but some marketing manager deemed it time to make it sound more legitimate and not a total piss up hence the name change). But true aficionados of the event just call it "Meat on a Stick" cause they know that the highlight of the three day celebration is every manner of world cuisine presented on a stick. To further cement my husband and I's love of meat on a stick we recently got a Hibachi. Basically a Japanese pint size BBQ perfect for charcoal/wood grilling any manner of...you guessed it, Meat on a Stick! 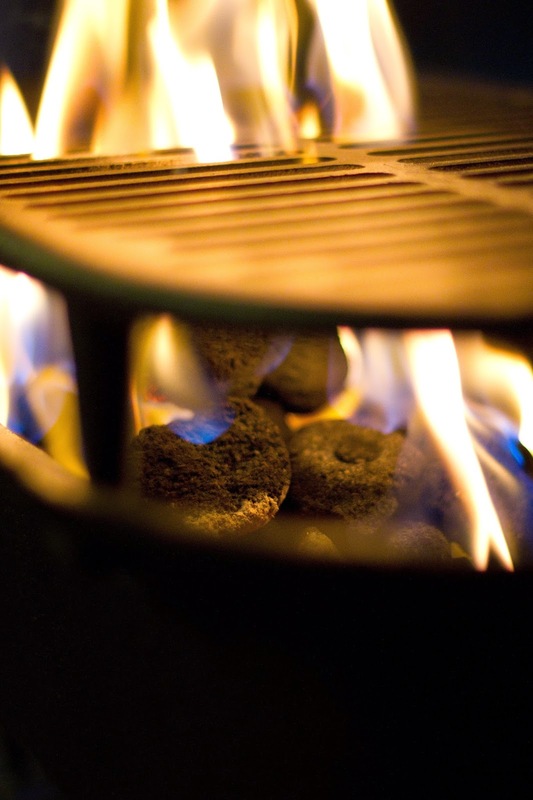 Now the weather is finally warming up and it is feasible to cook outside without icicles forming on your extremities we fired up the Hibachi and got grilling. As inspiration I had recently watched an episode of one of Luke Nguyen's food adventures in China. He found a back alley meat on a stick supplier that had been selling kebabs in the same location for many generations and estimate they sell around 2000 sticks a day. The little old Chinese man making the kebabs made it look so damn easy holding dozens of sticks at a time and waving the over the flames till the perfect level of char was reached that I thought, hell we can do that. You can see Luke Nguyen's full recipe for Uyghur Spicy Beef Skewers here. We then speared the meat onto soaked bamboo skewers. Once the coals in the Hibachi we nicely smouldering Martin attempted to hold the skewers over the flames just like the little Chinese man we saw on TV did. But alas it was not going to be that easy. I think that man must do training with mini finger weights, it is impossible for a novice to hold more than three skewers in one hand. So we minimised the quantity to be cooked at one time but in no time at all the sticks burnt through and we were left with little nubbin's WTF that didn't happen on TV? No idea what the secret to that technique is so instead we put the grill plate back in the Hibachi and started again. First attempt minus the grill plate, not so successful. 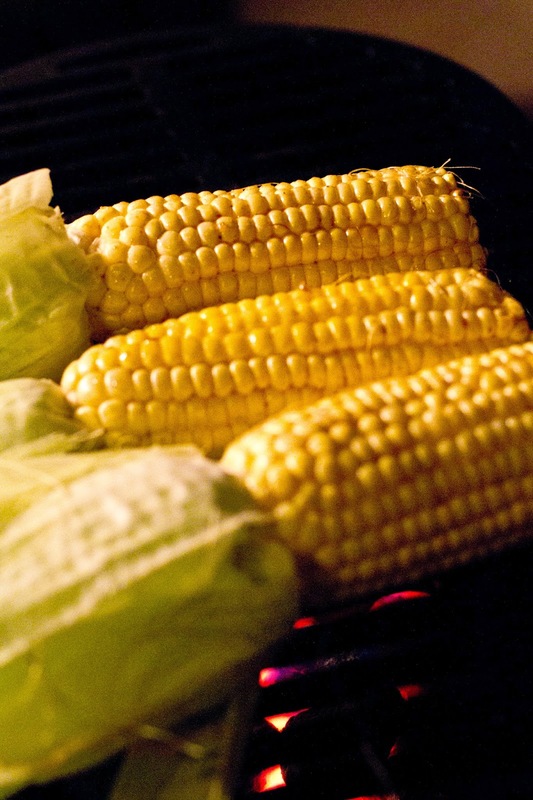 Once nicely caramelised on the outside (fancy word for partially burnt) we cooked some fresh corn on their cobs to go with the meat because you can't live on meat alone, you gotta get some veg too (or so the little voice in my head I often ignore tells me). The secret to meat on a stick is to cook it hot enough and quick enough that the outside is caramelised but the centre is juicy and tender. Despite the issues we had with the technique we did cook the meat to perfection and most of them still had their sticks to hold onto. I am super excited about what other meat on a stick treats we can concoct on the Hibachi. It can be the bridge that gets us through the year long wait for the meat on a stick festival in Canberra. I did recently hear about a town in Japan that have a Yakitori off, which essentially means all the local Yakitori shops go head to head in an event to decide who has the best Yakitori. Yum. Might have to do some research on what goes into the greatest of Yakitori and try my hand at it. 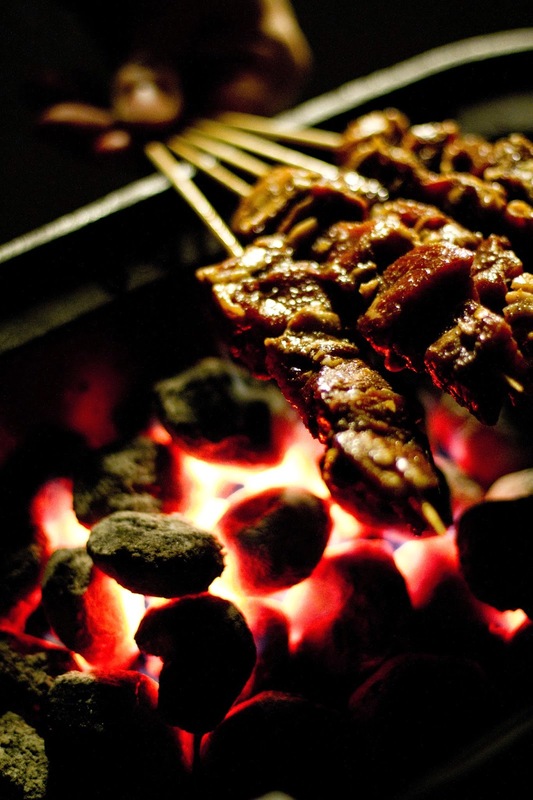 If you have a good Yakitori recipes make sure you send it to me at eat@hungryplanetblog.com.au or leave me any tips for successful grilling you have in the comments below.